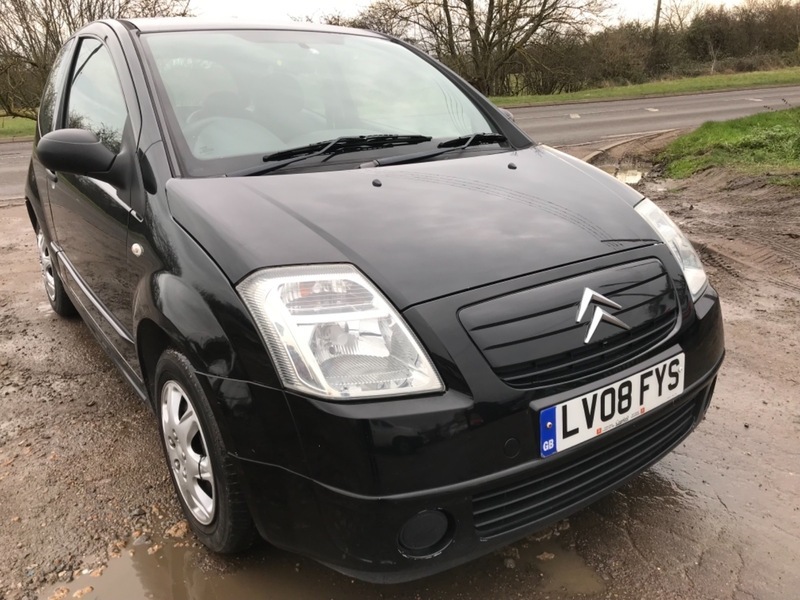 HERE WE HAVE AN OUTSTANDING CITROEN C2 1.1L CACHET FOR SALE IN THE POPULAR BLACK COLOUR. THIS CAR COMES WITH FULL SERVICE HISTORY WITH 4 STAMPS IN THE BOOK. THIS CAR HAS JUST BEEN SERVICED AT 57K MILES AND IS READY TO GO. THIS CAR COMES WITH 3 MONTHS EXTENDED WARRANTY FOR FREE, 12 MONTHS AA BREAKDOWN COVER FOR FREE AND 12 MONTHS MOT. THIS CAR COMES FULLY EQUIPPED WITH AIR CONDITIONING. 3 to 24 MONTHS WARRANTY IS AVAILABLE TO PURCHASE. WE ACCEPT ALL MAJOR CREDIT CARDS AND DEBIT CARDS TO BOOK A TEST DRIVE PLEASE CALL US ON 07904421553. WE ARE OPEN FROM 10:00 TO 18:00 EVERYDAY INCLUDING WEEKENDS AND BANK HOLIDAYS WE DELIVER THE CAR TO YOU Ts&CS APPLY' PART EXCHANGE WELCOME' FOR MORE CARS PLEASE VISIT OUR WEBSITE WWW.BMUSEDCARSLTD.CO.UK OUR ADDRESS IS AMPTHILL ROAD KEMPSTON HARDWICK BEDFORD MK453JE.WE ARE 2 MINUTES AWAY FROM INTERCHANGE RETAIL PARK.